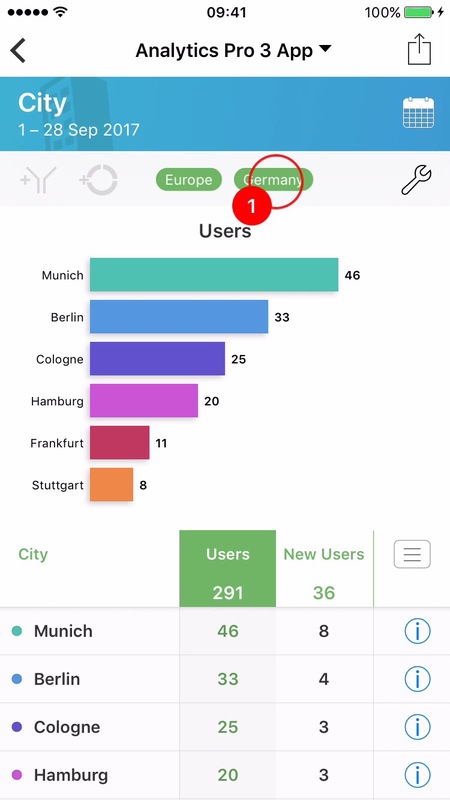 When you drill down into a report, filters are automatically applied by Analytics Pro. 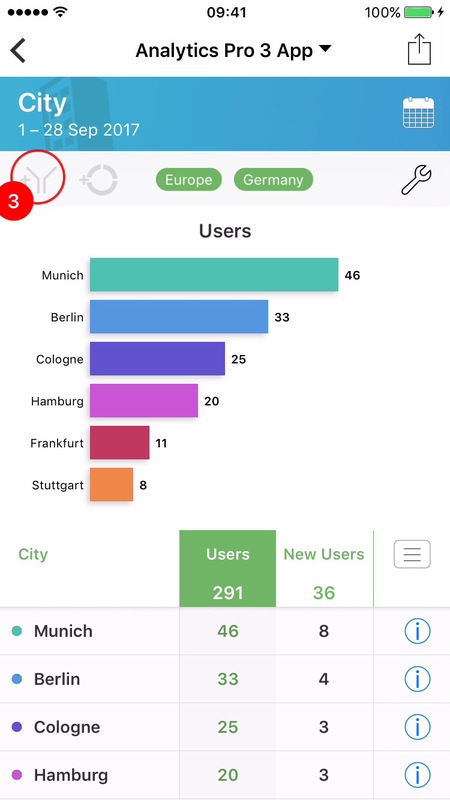 This tutorial shows how to save these filters for re-use with other reports. See the tutorial 'Drill Down into a Report (Part 2)' for more details about drill down. 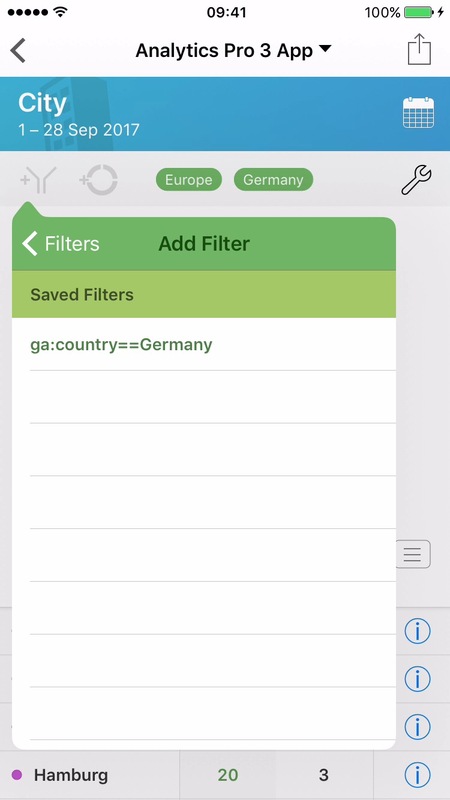 1Tap the name of the filter in the toolbar. 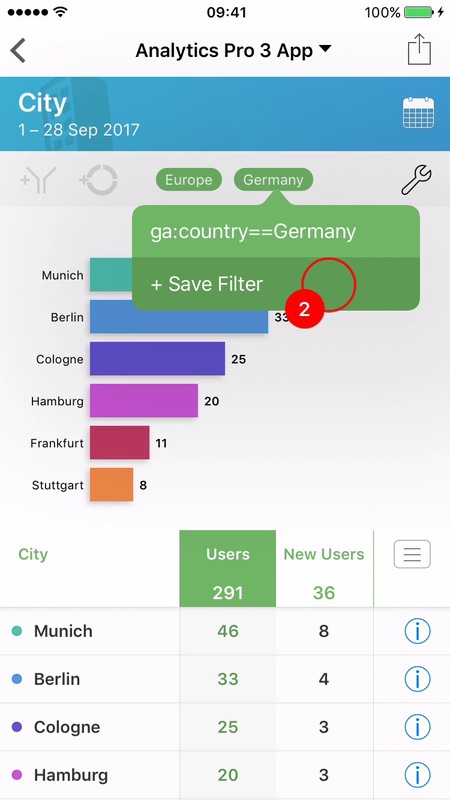 In the Example above the filters 'Europe' and 'Germany' are present in the report. 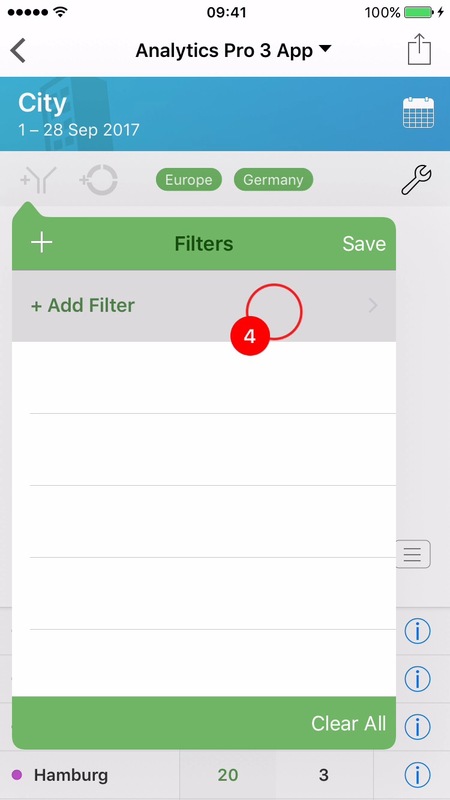 3Steps 3-6 show how to view the saved filters. 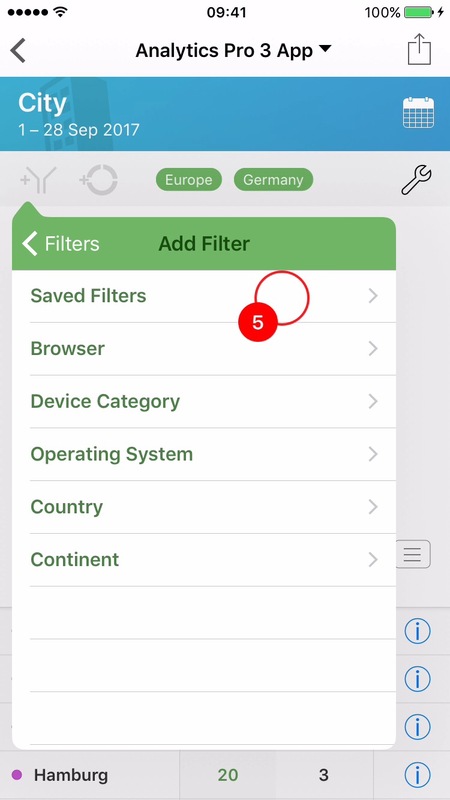 Tap the 'Filter' button to display the 'Filters' menu.